David and Gwen King began designing foam furniture from their home in Australia in 1977, selling the few items they created at the local Paddy’s Market. Customers really liked the furniture, and year after year this small family business grew and expanded introducing new designs, materials and models. Today, King Living is a major player in the Australian furniture industry with 14 showrooms and 5 depots across the country. The company has been recognized with several awards and has been featured at famous events such as Vanity Fair’s Oscars After Party. King Living attributes its success to the company’s commitment to uniqueness and excellence. The company always guarantees high quality products with a touch of style. In order to keep up with demand and ensure customer satisfaction, King Living must have smooth running processes in all aspects of the business, especially regarding product management and tracking. Therefore, the company wanted to streamline the work flow and started looking for a solution that could provide real-time information on stock levels and locations throughout the warehouse. It was also essential that the solution be implemented with the least amount of disruption to day-to-day business activities. 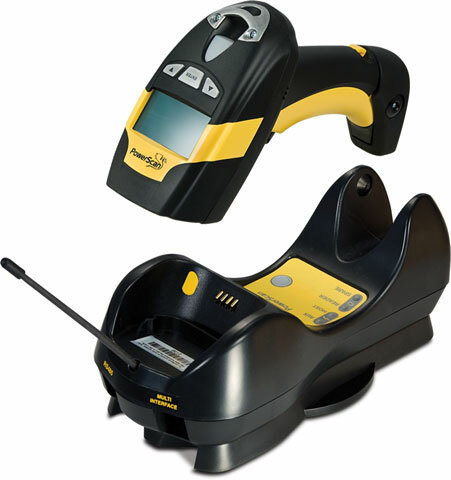 Datalogic’s partner, BCDS Solutions, an industry leader and specialist in barcode and RFID solutions, suggested using the PowerScan PM8300 rugged industrial scanner from Datalogic with a materials tracking system. The PowerScan scanner is the smallest and fastest device on the market for this type of application, offering outstanding performance and unyielding reliability. Its narrow band radio communications with Datalogic’s STAR Cordless System provides the key to increased productivity and flexibility in the workplace. BCDS took this optimum solution and integrated it to suit the specific needs of King Living. The company provided a commissioning service so the scanners were ready to use out of the box, along with simplified user instructions. Once integration was complete, the PowerScan PM8300 scanner went to work. The PowerScan PM8300 scanners have become invaluable throughout the facility for tracking, identification, and picking purposes. The device reads the bar code on an item and enters the information into an in-house developed program that manages and tracks it from the production line through the warehouse and on to the customer. The system shows the last scan of the item so staff can tell customers exactly where it was located. Using a special label specifically designed for picking, the company makes an instant count of all its items available in real time. Stock levels, item whereabouts, accountability, product history, and KPI figures are calculated using the PowerScan PM8300 scanners. Since deploying the PowerScan PM8300 devices with the tracking system, missing items have been reduced from approximately 12 items per day to an average of 2 per day. The resulting missing items can be attributed mostly to human error. Picking time for delivery order runs has dropped from 3 hours per truck to 1 hour, 45 minutes. Other advantages have also been noted with the staff experiencing less stress due to diminished missing items. The PowerScan PM8300 industrial scanner and tracking system have won the praises of management; managers cannot imagine going back to a system without it. The system works so well that King Living requires all its partners to use it as well.